Ant-Man is a tricky situation when it comes to reviewing the movie itself, but in the wake of my Fantastic Four review, I feel like it provides a much needed contrast. What Ant-Man had, going in, that Fantastic Four didn't, was a level of expectation on the part of much of Marvel fandom. Maybe not even Marvel fandom, but Edgar Wright fans to be certain. Ant-Man was, by Wright's admission, a passion project, and his very public departure from the film left Marvel and Kevin Feige with a serious PR mountain to climb. Ultimately, it turned out to be more of a molehill, or - wait for it - an anthill. At least for me; there's still some debate about what is vs. what "could have been," and I think that's going to last a lot longer than the "Fox won't show my Fantastic Four, which was a great movie" Twitter war. I get the easy jokes directed at Peyton Reed, who was hired to come in after Wright left the film (rumor has it over story changes mandated by Marvel's "creative committee"). Reed directed Yes Man and isn't considered to be much more than a puppet of the studio who hasn't made anything since Bring It On that you've heard of. For me, he also made Down With Love, (a movie only I seem to like) which nearly landed him the Fantastic Four gig the first time around, and would have fit in with the 60s vibe that Down With Love is an homage to. But anyway, visionary Wright out, hack Reed in - that's the narrative you can still see in reviews for Ant-Man. But then there's the tricky part, because the Ant-Man that is turned out to be pretty good. There are a few different factors in play that help Ant-Man: one is that is dispenses the "origin story" pretty quickly and integrates it into the narrative in a way that keeps everything moving forward. 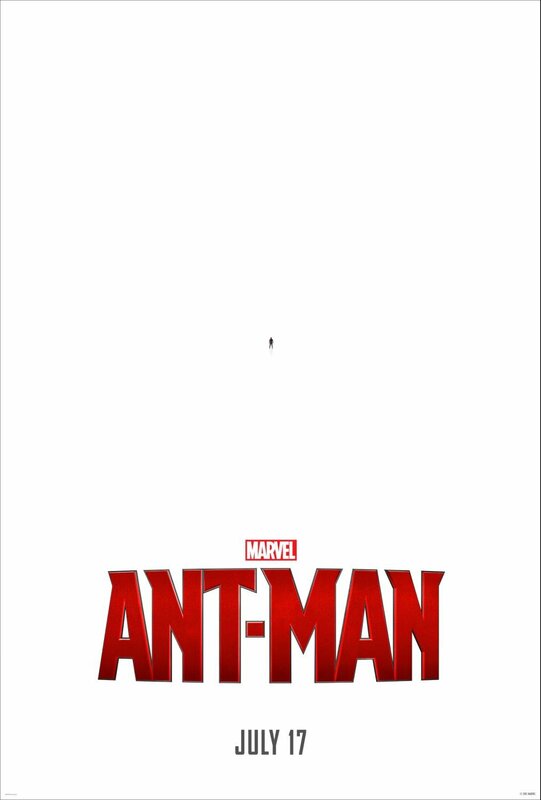 Scott Lang (Paul Rudd) is a thief, recently released from prison, who can't get his life back together. He can't get a job because he has a criminal record, so he can't provide alimony payments to his ex-wife Maggie (Judy Greer) which complicates his ability to have any leverage to visit his daughter Cassie (Abby Ryder Fortson). Also standing in the way is Maggie's new husband, police officer Jim Paxton (Bobby Cannavale). This could be played very heavy handed and one sided, but there's a surprising effort to be balanced and not make Maggie or Paxton out to be antagonists. They want what's best for Cassie, and Scott is a thief. Like most ex-criminals, he goes back to his old habits to make ends meet, teaming up with his partner Luis (Michael Peña) and his new gang: Kurt (David Dastmalchian) and Dave (T.I. ), who are working on a heist of "some old rich guy" who has a safe Scott might be able to crack. Unfortunately, when he breaks in, the only thing Scott finds inside is a suit, which he takes anyway. The "old rich guy" is Hank Pym (Michael Douglas), and he wanted Scott to steal his Ant-Man suit, because he needs him to use it for a particular heist involving Pym Industries. His former protégé, Darren Cross (Corey Stoll) has advanced the shrinking technology that Pym hid from his company (and S.H.I.E.L.D.) and he needs somebody to make sure Cross doesn't sell his work to the military (or worse). Pym's daughter, Hope (Evangeline Lilly) wants to do it, but Hank refuses, for personal reasons. The narrative of Ant-Man moves at a brisk pace, with Scott learning how to use the suit and become the new Ant-Man while also planning the heist. There's even time for the reveal of why Hank won't let Hope take the suit, which allows you not only to shrink but also to be able to control ants. It gives you increased power because of the reduced size, so Scott becomes "like a bullet" and has to meter out how hard he hits someone, as not to kill them. Rather than front load Ant-Man with this, Reed / Wright put it in the middle of the movie, and it never bogs down the film. It also helps that Ant-Man is balances comedy with superhero shenanigans in the same way that Guardians of the Galaxy does. It's never too silly or too serious, although Peña pushes it sometimes. Surprisingly, though, not in the rapid cut flashback/monologues he uses to very quickly get exposition across to Scott. The special effects are pretty impressive, considering that most of the film is from a very tiny perspective - the sequence where Scott shrinks in his apartment and falls through the floor to a neighbors party downstairs is quite good. His terror at nearly being stomped on while people are dancing and trying to navigate his way out (he doesn't know how the suit works) takes a fairly normal situation and makes it fun for the audience. Also kudos to the de-aging team for making Michael Douglas in 1989 not look like Arnold Schwarzenegger's body double in Terminator Genisys. It's a nice touch and gives the scene with Howard Stark (John Slattery, back from Iron Man 2) added gravitas. It makes sense why Pym would choose a thief over the Avengers, and why he'd have no second thoughts about sending Scott in to steal something from one of "Howard Stark's old warehouses". Of course, the warehouse turns out to be the New Avengers Facility, where Scott runs into Falcon (Anthony Mackie in an amusing cameo). The scene is mostly designed to set up Ant-Man's role in Captain America: Civil War, but I'll allow it because Mackie and Rudd make the scene entertaining. There's a much better use of foreshadowing later in the film, with a very quick reference to Spider-Man (now back in the MCU). If there's one thing that really elevates Ant-Man over most of the Marvel Cinematic Universe (and I'm mostly talking about the Disney releases), it's the scope. Appropriate to its source, it's scaled back, smaller, but not simply because Scott shrinks down to ant-size. The trend, at least since The Avengers, has been to have a giant fight at the end of the movie involving something in the sky that's going to destroy the planet / our heroes / etc. Seriously, just take a look at the finales of Thor: The Dark World, Guardians of the Galaxy, Captain America: The Winter Soldier, and even Avengers: Age of Ultron, where they're trying to keep an entire city from crashing down from the sky and killing everybody. Airborne battles are, it would seem, the thing that Marvel loves the most. There are even variants of it in The Amazing Spider-Man and Fantastic Four because, you know, if the formula works, overuse it. Ant-Man, on the other hand, sets the climactic battle inside of the bedroom of Scott's daughter, and most of the final battle with Yellowjacket takes place on a Thomas the Tank Engine train set. Reed frequently cuts back from the action to actual scale so you can see what it would look like to normal people. It's mostly for comedic effect, but for this film, that technique works just fine. Ant-Man acknowledges its somewhat goofy premise without ever demeaning what Scott (or Pym) can do while in the suit. When he goes sub-atomic to stop Yellowjacket at the very end, the risk implied with doing so (involving the original Wasp) isn't treated like a joke. There's a fine balance between being silly and diminishing the movie overall. How much of that was Wright, how much was Reed, we're probably not going to know. Wright retains a writing credit, and by many accounts the first half of the film is almost exactly what he wrote. Increasing Evangeline Lilly's role as Hope (to set her up for future films as the new Wasp) is allegedly what pushed Wright away, but she didn't seem to overshadow Paul Rudd or Michael Douglas to my eyes. The only problem Ant-Man really has is the same one Marvel has struggled with since Iron Man: having an interesting villain whose name isn't Loki. Corey Stoll is mostly wasted as "angry scientist villain who is mad at Hank Pym for some reason and becomes Yellowjacket". In a perfect world, we might know what Edgar Wright's Ant-Man looked like, and while I'm not happy about his departure, there is some solace in knowing that the version of the film we did get is still a lot of fun. I'd go so far as to say that I enjoyed Ant-Man more than Age of Ultron - a movie I've tried to write a review for repeatedly since May* - and am looking forward to watching it again. It has some of the problems of MCU movies, but eschews many of the "same old, same old" story structures in favor of a more character based narrative. While I wasn't crazy about the villain, Rudd, Lilly, and Douglas made for a fine combination, and I'd be happy to see more of their adventures outside of the increasingly unwieldy "crossover" films. As shoehorned in as it seemed, I actually liked the thieves, mostly because the chemistry between the four of them makes it entertaining enough to overlook the fact that Scott doesn't really need them to get into Pym Industries near the end. Reed also somehow made me feel bad for an ant, and not only that, but one with a terrible pun for a name. Good job. More importantly, since I brought it up in the first paragraph, whatever happened between Wright leaving and Reed taking over, the end result is less disjointed than in Fantastic Four. Without looking it up online, I didn't take a mental tally of "which part of the film came from which," and more to the point, I wasn't thinking about it at all. Instead, I enjoyed Ant-Man, Frankenstein-ed as it is. It has the benefit of being altered before cameras started rolling, but the mixture of original vision and studio mandated chicanery doesn't show in the same way it does with Fantastic Four. 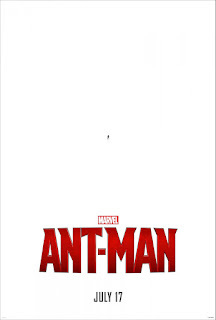 We're never going to see the pure, unadulterated versions of either film, but at least with Ant-Man I know there's one out there I would see again. * While in aggregate, I did like Age of Ultron, every time I sit down to think about it, or to focus on specific points, the draft ends up becoming a fanboy-ish critique of "Whedon-isms" throughout the film. They aren't so bad in their entirety, but when I have to address things like "well, I was born yesterday" or the party scene, it begins to feel like nit-picking. The fact that a HYDRA soldier actually says "no, it wasn't" after Iron Man shoots them and says "good talk," kind of annoys me. Anyway, the short review is that it's a fun movie that suffers from trying to set up too many parts of Phase 3.